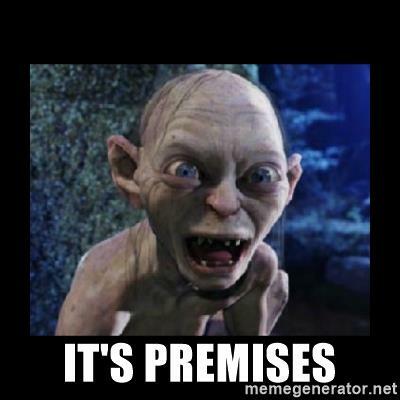 The use of on-premise to mean on-premises is pretty much endemic now. It’s wrong, but it’s wrong in a particular way that means it’s not as egregious as someone using the word albatross instead of server. Regular as clockwork, someone asks why anyone should care, when listeners know what the person speaking means, even though they’ve used the wrong word. @davemhenry @cxi WHO CARES?! It’s the VMware VMWare debate all over again. We all know what people mean. For me, there are lots of reasons, but the big one is what I call the Brown M&Ms Test. David Lee Roth explains why band Van Halen famously had a clause in their rider stipulating that no brown M&Ms were to be found backstage. It seems a silly bit of grandstanding at first blush, but as Roth explains in the above video, it was a test. If the production company or venue didn’t notice the brown M&Ms clause, it meant they didn’t read their contracts carefully. That meant they probably didn’t read the other clauses, which stipulated important, though tedious, details about load-bearing requirements, power specs for the venue, etc. When venues ignored those details, major life-threatening safety issues followed right behind. If there were brown M&Ms on the catering table backstage when they arrived, the band knew they had to go over everything else to make sure everything was safe, and able to be used for their show. If you can’t get something relatively simple like saying on-premises correct, I wonder what other little details you’re willing to gloss over. Perhaps when you say discounts are 10% you mean 7.5%, because it’s close enough, right? Or when you say my order will arrive in a week, you mean a month. They’re basically the same thing, right? Or maybe when you say your storage array gets dedupe ratios of 4:1 you mean 3:1. While the video does go a long way in justifying why details matter, the issue of on-premise/premises is more of a language debate. I do agree words should have meaning and details do matter but for some reason, on-premise does sound better and does not necessarily reflect the users attitude towards paying attention to detail I think. To the point Oga made, it’s not just a language debate. On-premise is simply wrong and it’s incorrect use tends to demonstrate that the person saying it is not precise in thought or speech, both of which are essentials skills in IT. I accept many people use the incorrect term but it is a red flag to make sure they really know what they are talking about.